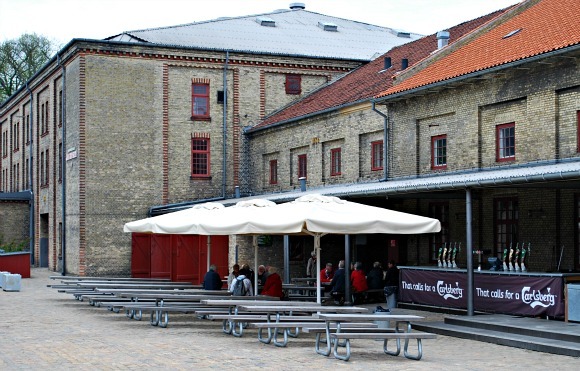 The former Carlsberg Brewery site in Copenhagen still has a nod to its past in the shape of a visitor attraction explaining the story of brewing on the site over the years. and we’d thoroughly recommend a visit. The exhibition area starts with a massive collection of Carlsberg beer bottles from around the world, before you see how lager was first brewed here and how the company grew over the years. We found that the biggest challenge was actually finding the place as it’s tucked away down a small street. The centre is not signed from the main road that runs to the south of the site along the railway line and we got very lost! Probably a better option is to take the Hop-on, Hop-off Bus Tour or bus numbers 18 or 26 which drop you on the main road to the north of the site. You then have to walk down the street called Gamla Carlsberg Vej to get to the centre. 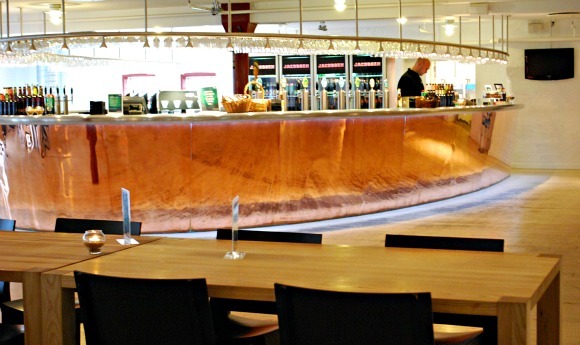 Considering the price of alcohol in Copenhagen, the admission price at the Visit Carlsberg is great value for money with 2 beers at the end of it. 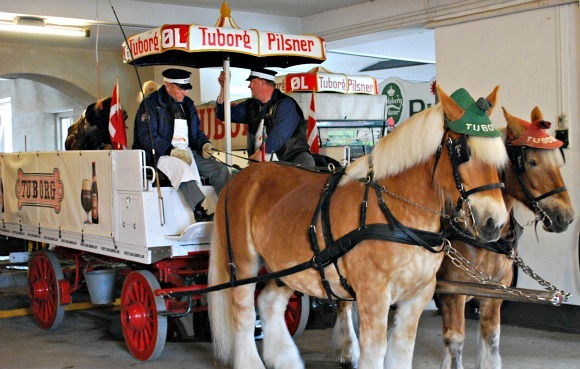 Adult admission is 85 DKK (2016 prices) and you could easily pay that just for the beer in many central Copenhagen bars. The Visitors Centre is open Tuesday to Sunday from 10am to 5pm.